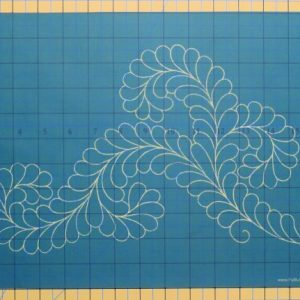 If you’re like most quilters you’re probably tired of spending countless hours marking your quilt top. 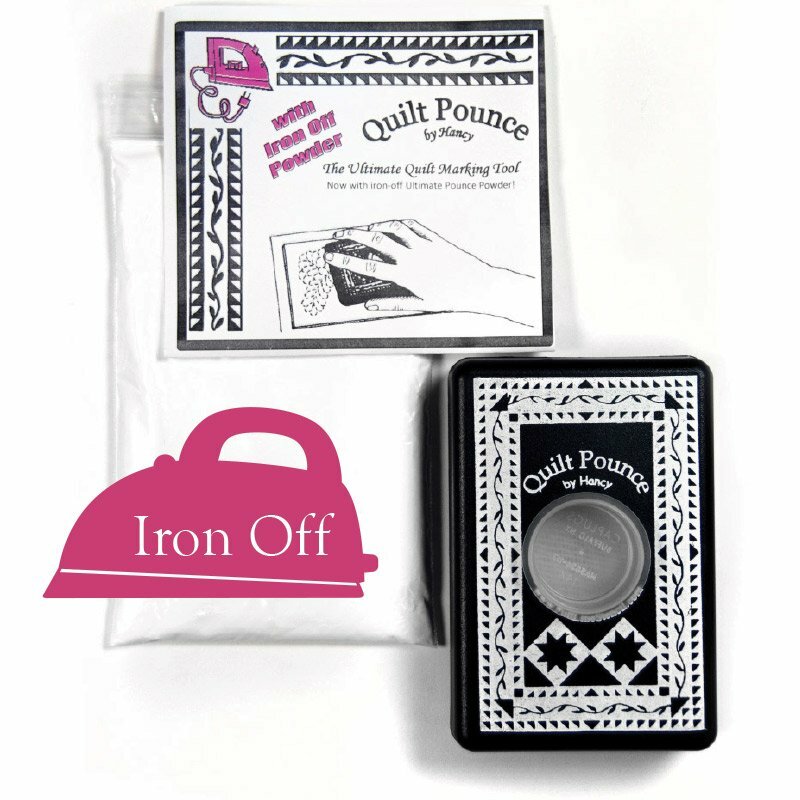 With the Quilt Pounce it’s never been easier to do the most tedious part of making a quilt. Using a Pounce pad basically involves two steps. 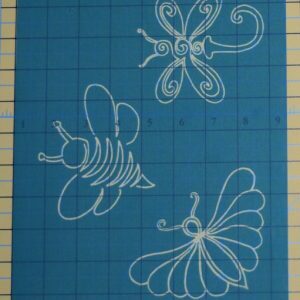 First, position the stencil where you want to transfer it and second, rub the Pounce Pad over the design to transfer the chalk powder through the mesh openings of the design. It really is that easy! 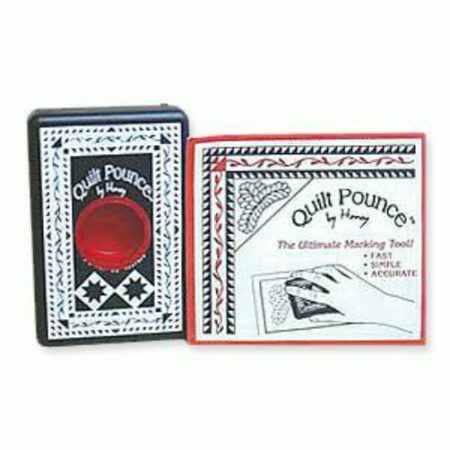 The starter kit contains the pounce pad & a chalk refill. It’s the most economical method of purchasing. 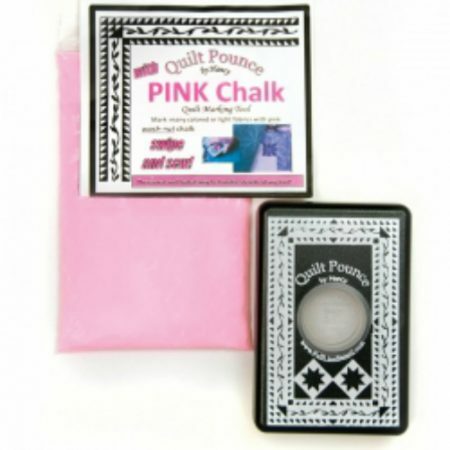 You can also purchase refills for the chalk and the pounce pad on it’s own. 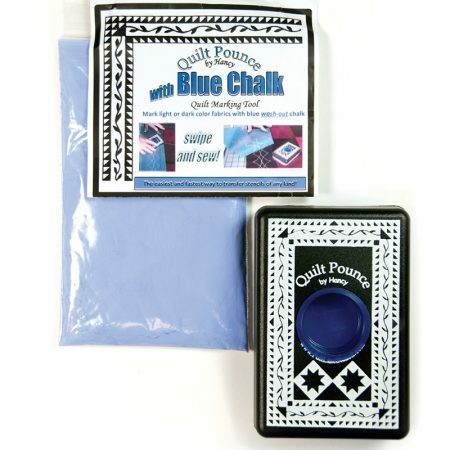 The white chalk is our most popular Pounce Pad colour, the chalk disappears with heat. Turn your iron on to Med- High. It also washes out. It’s actually tailors chalk in a ground up form, it won’t build up on your iron or fabric. 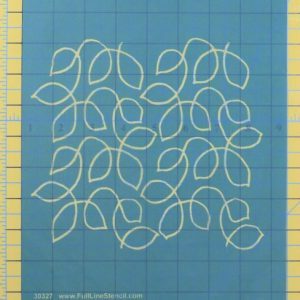 The adhesion to your fabric is great! 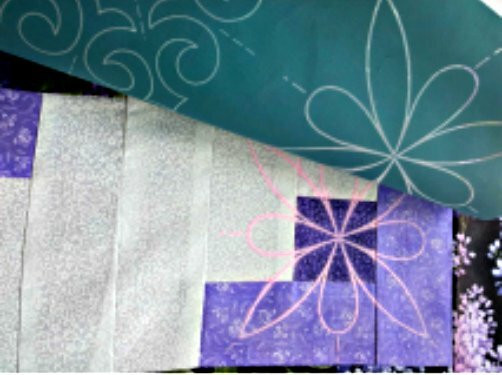 It shows up on bold colors, darks and just about any solid color. 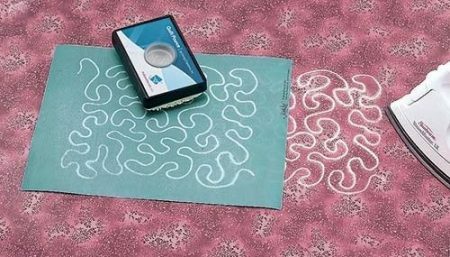 Anything that has a white marble to it or prints that have white in them will make this chalk very hard to see, that’s when you would use the pink or blue option. NOTE: Do NOT iron the blue or pink chalk. 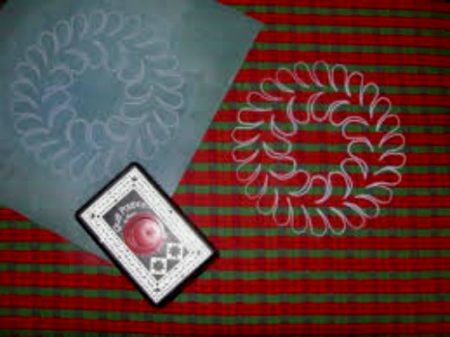 You will set the colours! These must be washed out. It is still chalk, you won’t have any residue, but the colour added to the white chalk is a dye, therefore must not be pressed. It washes out easily. 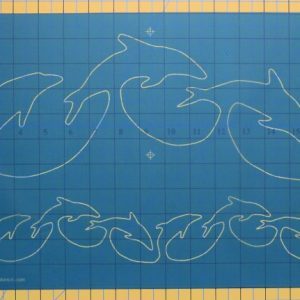 There are SO many stencils available – and there are more designs being created every month, so keep an eye out!